The Wiegands: bonding in the kitchen. If you haven't read the books, Cold Tangerines & Bittersweet by Shauna Niequist I strongly recommend them. My dear friend, Danielle, told me a few months ago that I needed to read them and then along the way I realized that Shauna and I share a very close mutual friend. Such a small world. Then we decided to dream big and see if she would want to come share her story at Hope Spoken, which was incredibly exciting & humbling when she said yes! Her new book, Bread & Wine is getting released in the next month and I was honored to get an early copy and dive in. This is a beautiful book for those who love food and value the community and connection of family and friends around the table. You know, as I journey along in life and also as my role as a wife and a mama, I realize more and more the kind of person that I long to be. 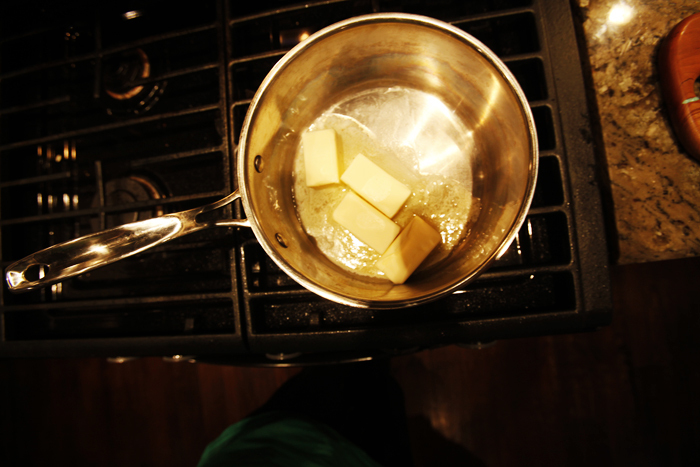 When I started this blog a little over two years ago I never ever cooked. 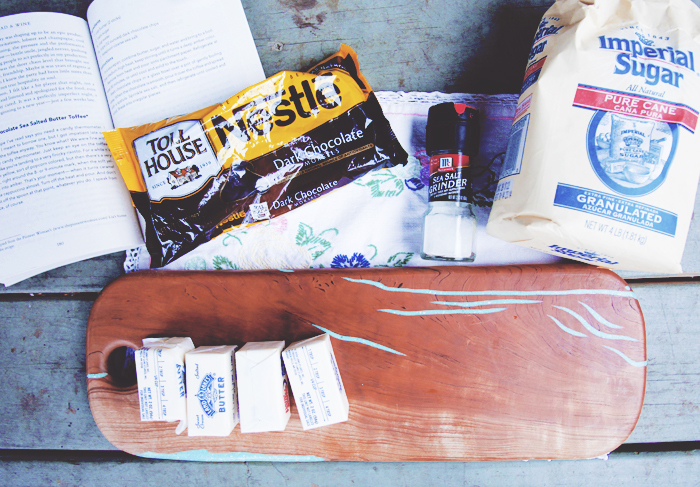 Then slowly through blogs and pinterest and friends I started to dance with a kitchen a bit. I have realized the value in a family dinner and not just sitting down together to eat but also involving my babies in the process. Bonding with your little ones in the kitchen can be such a special & beautiful time. It is still an area a long to do more & more; better & better. I want them to have memories of cooking and making a mess in the kitchen with mama. 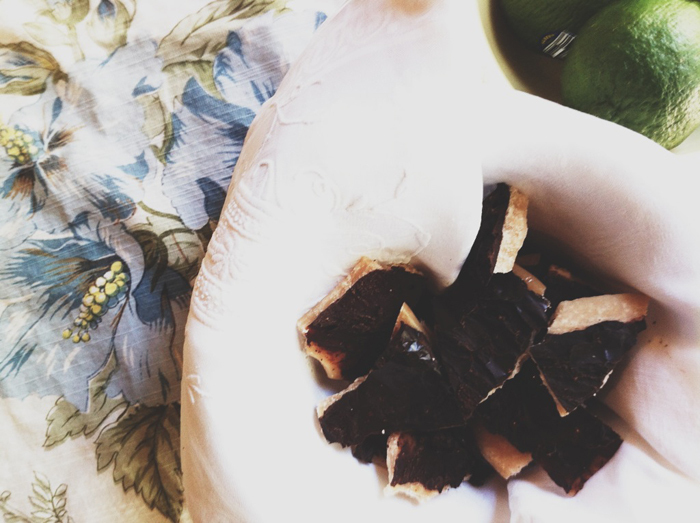 The other night Chris & I made the dark chocolate sea salted butter toffee from her book. To say it was marvelous is a complete understatement! I have never made candy before and was so surprised how easy it was to do! "Bread and Wine is a collection of essays about family relationships, friendships and the meals that bring us together. It is a celebration of food shared, reminding readers of the joy found in a life around the table. It's about the ways God teaches and nourishes people as they nourish the people around them. It's about hunger, both physical and otherwise, and the connections between the two." Just last night Aiden & Ainsleigh had helped me make dinner. They poured and mashed and talked along side me. We sat down as a family to eat and I couldn't help but think about how we never would have done this just two years ago. And how just because that is the way it has been, doesn't mean you can't make a change. Already this year we have gotten involved in a new church and are making fellowship and community a priority in our life. they will remember the next 16 years of community. Family meals. & more. Book can be pre.ordered here! YAY!!! I am so proud of you for stepping into the kitchen - I know a lot of people say this, but some of my best memories in my life are from being around loved ones in a kitchen somewhere. I can't remember a lot of things about my grandparents' homes, but I DO remember where everything was in their kitchens. That recipe looks yummy! And I wouldn't say you did things wrong for two years...your kids are so small that maybe they are only just now able to help in the kitchen anyway :) you can all grow and learn together with cooking! Good for you! 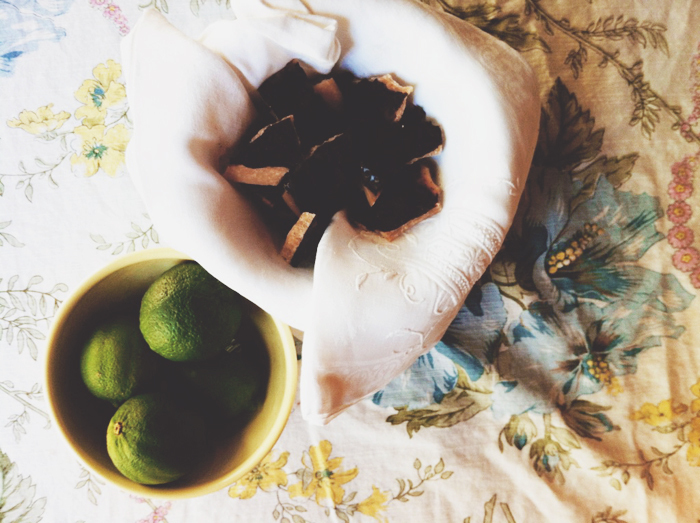 Joy is to be found so many places but the kitchen and dining room table are almost always guarantees. My favorite childhood memories always seem to involve my whole family laughing around the dinner table. Enjoy your precious time! I've been meaning to read those books! I've heard they're amazing! Can't wait to see more of your cooking pictures! Really beautiful, the way you share your heart with humility and so much love. love cold tangerines! 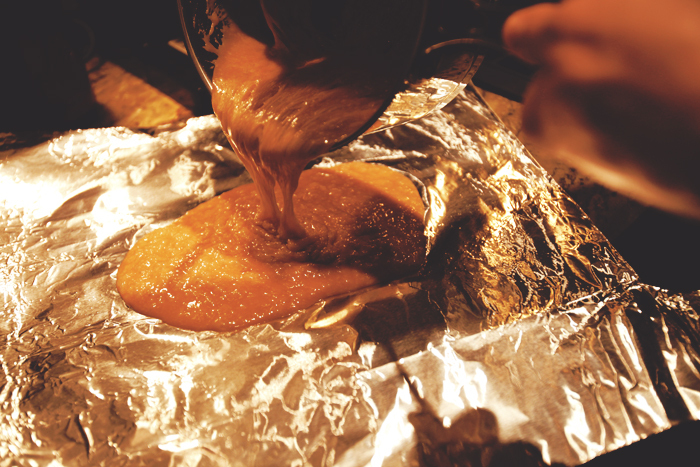 can't wait to make this toffee when the book comes out! thanks for sharing! I really love this post. We've worked really hard to bond in the kitchen in the past few years...and try to make cooking dinner and eating dinner a family event every night. Thanks for sharing your lovely thoughts and photos! I was like you. i didn't know how to cook and I came from a family where my mom didn't cook lol. that changed when we I had kiddos! It is such a fun past time to cook in the kitchen. It really can be the heart of the home ... add some good music and you have pure bliss! Since my son was old enough to stand on a chair in the kitchen he has been my little sous chef. it is amazing what he knows at 4. I also feel like he will (hopefully) grow up being independent in the kitchen as an adult and have recipes that he can make that remind him of home. Food really brings people together! Can't wait to read this book! It's amazing the difference it makes when you sit at the table to eat with your family ! Cooking and eating as a family is one of my very favorite things. 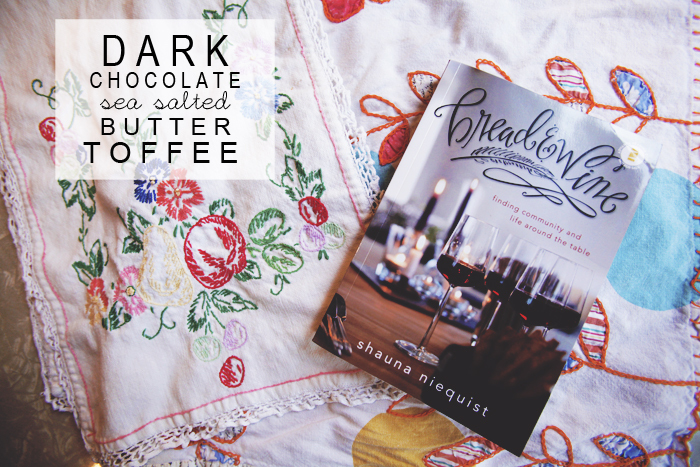 shauna's books are on my top 5 favorites of all time...AND i've reordered her cookbook too! : ) i don't even really like to cook- but hey if she wrote it, i'm in! Holy cow! That sounds so good!! I came from a family where my mom didn't cook--and my husband did--When we have kids, I want to be in the kitchen with me. My husband has great memories from helping his mom cook! No doubt they loved it! this was great insight into family living and the practical application of fellowship and "breaking bread" together. Such warmth and happiness comes from satisfying ourselves while serving one another and helping... its all rather lovely.